The Chinese loans for Kenya’s SGR project is now set to hit US$10b After Exim Bank of China expressed interest of funding the third phase of the project at a cost of US$4.9 billion to extend the railway from Kisumu to Malaba thus linking Kenya and Uganda. Kenyan opposition side however have always stood against the move by the government to continue borrowing funds as the country will be having a lot of debts to pay instead. 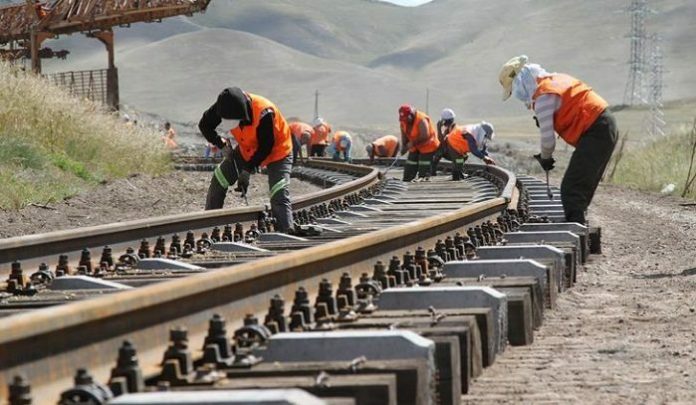 But the railway project is expected to ease transport as well as strengthen cooperation among East African Community member states and promote trade and the region’s economic development. Though the bank is already financing the first leg of the railway from Mombasa to Nairobi at a cost of Sh380 billion with completed work standing at over 90 per cent currently. The second phase between Nairobi and Naivasha, a stretch of 120 kilometres, will cost Sh150 billion. The higher cost between Nairobi and Naivasha has been attributed to harsh terrain. As a result, the cost of tunnels will take up 23 per cent of the total cost estimated at US$1.82 billion. The tunnels will cut through Rift Valley escarpments, making design work more expensive. This is one of the biggest project being carried by the jubilee regime under the leadership of Uhuru Kenyatta.